Help protect your Web site with the latest in SSL technology and protect your site visitors and give them confidence to do business with you. 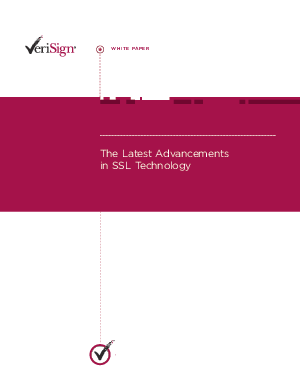 Recent advances in technology have led to a variety of SSL certificates. In this paper, we discuss some of these advances to help you decide which would be best for your organization. Latest advancements in SSL include Extended Validation (EV) SSL technology which give site visitors visual cues that the site they are visiting is legitimate.